No walk-up registration will be available race morning. 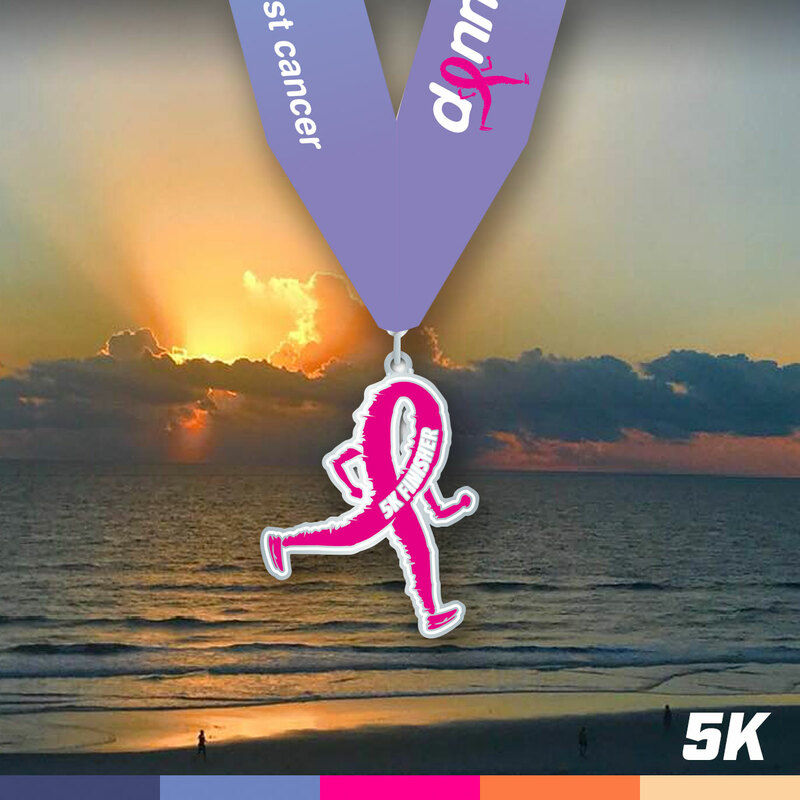 5K participants earn our signature Running Ribbon medal and experience a reimagined 5K at the beach! The 5K will be a timed event. Our fun run is perfect for families, and will be an out and back course of up to one mile. The DONNA 5K and Family Fun Run will start and finish in Neptune Beach, Florida in the heart of Beaches Town Center. 5K Runners will experience new views of coastal Neptune Beach and Jacksonville Beach as they run the 3.1 course in to the neighborhood communities. This event is sold out. No race day registration is available. 7:00 a.m. JAXSON DE VILLE Arrives! Packet pickup will be available on Friday, February 8 at the DONNA Expo. Packet pickup will also be held in the Expo starting at 6:00 am race morning. The DONNA 5K and Family Fun Run will be held in the Beaches Town Center. Parking is available on a first come, first served basis from the Expo parking area. Beginning Saturday, February 9, 2019 At 6 PM All Vehicles Without A Parking Pass Will Be Towed.